The recent up swing in the Canadian housing market is nothing but a dead cat bounce according to Sadiq Adatia, Chief Investment Officer of Sun Life Global. Mr Adatia predicts that Canadian home prices will drop by 10% to 15% over time as interest rates rise. This past July the average home price in Canada was $382,373 according to CREA. I think Sun Life's CIO is being overly optimistic with regards to the price declines that lie ahead. 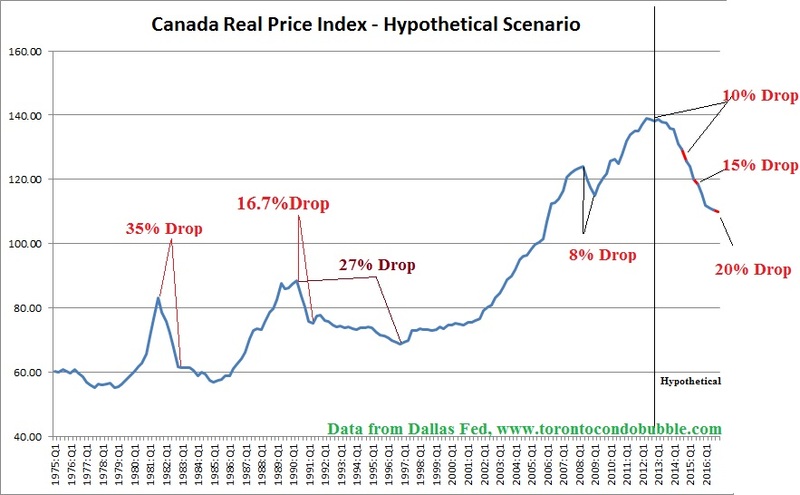 As Canada's housing bubble bursts and fully deflates I expect prices to decline north of 20% over time. In my view, prices will return to pre-2008 levels in real terms. 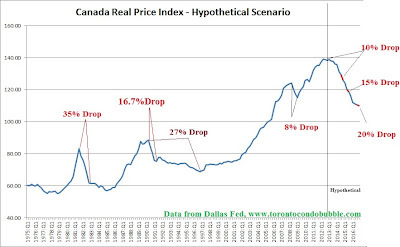 The following chart visualizes real home prices in Canada with price drops of 10%, 15% and 20% over short term. 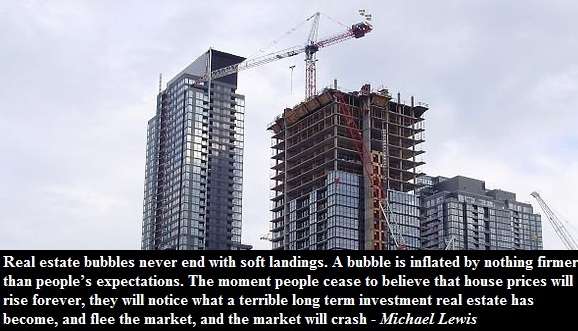 Even a 20% decline will not fully deflate the Canadian housing bubble. But when will Canada's housing bubble burst? It will take time! Anyways, let's take a quick glance at what would a 15% correction in Toronto's housing market would look like. The average price of detached home in the City of Toronto this past August was $783,708. For all those who doubt that detached homes in Toronto will drop in price by 20% then please consider that in 2008, detached homes in Toronto were hit the worst as they dropped by 25% in value. The average price of condominium apartments in the City of Toronto this past August was $357,572.